The Mahanayake Thera of Malwatte Chapter Most Venerable Rambukwelle Vipassi passed away Monday afternoon around 3.15 p.m.in the Kandy general hospital after a brief illness at the age of 89. He was born in the year 1916 and entered priesthood in 1930. He was appointed Mahanayake of Malwatte chapter in the year 1989. 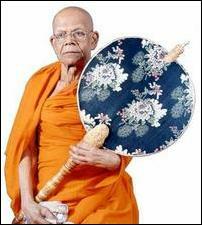 Sri Lanka Buddha Sasana Ministry is making arrangement to conduct a State funeral for the departed Buddhist leader. Buddhism has been made State religion under the Sri Lanka's Constitution. Buddhist prelates who reach the position of Mahanayake Theras of Malwatte and Asgiriya Chapters play a vital role in the thinking of the government in power. Leaders of Sinhala dominated government and other political parties obtain advice from Mahanayake Theras on important national issues.